Naper Nights sets the stage for three summer weekends in June, July and August of nonstop music. 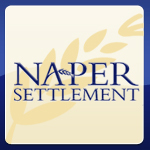 Bring a blanket or lawn chair and enjoy music under the stars on the beautiful grounds of Naper Settlement this summer. No outside food or beverages are allowed. Gates are open from 5-10 PM. Purchase tickets in advanced online. For a full list of tribute acts, visit our website.